Koh Mook by Speedboat & Ferry is the way to travel! Located inside an amazing archepelago of islands and the Had Chao Mai National Park, just gazing out at the islands and seascapes make you feel like you're in a movie! 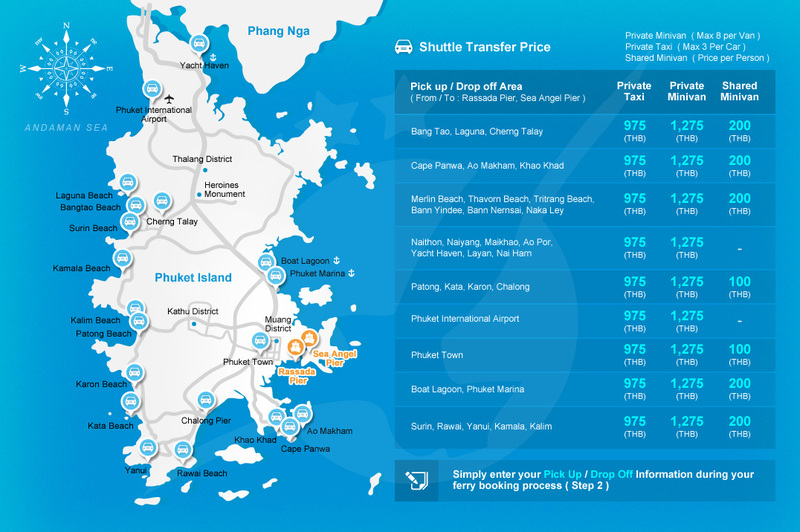 The whole island-to-island speedboat & ferry experience is amazing, and with our simple phuketferry.com speedboat & ferry booking system, it's easy to get there! The ferries are big (hosting 130 passengers or more), so just relax, take in the scenes wit hyour senses, and enjoy! 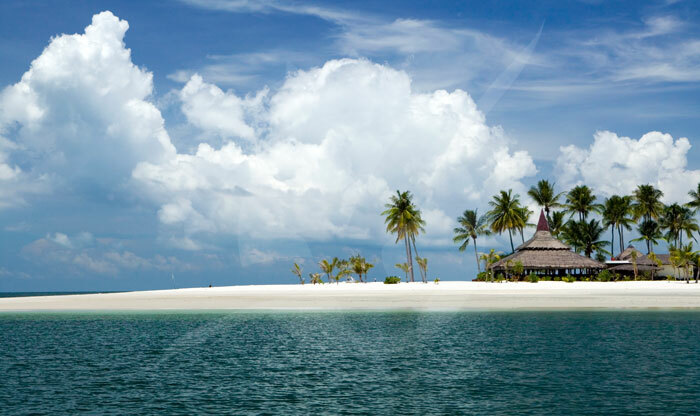 Koh Mook is reknown for... Read MoreKoh Mook by Speedboat & Ferry is the way to travel! Located inside an amazing archepelago of islands and the Had Chao Mai National Park, just gazing out at the islands and seascapes make you feel like you're in a movie! The whole island-to-island speedboat & ferry experience is amazing, and with our simple phuketferry.com speedboat & ferry booking system, it's easy to get there! The ferries are big (hosting 130 passengers or more), so just relax, take in the scenes wit hyour senses, and enjoy! 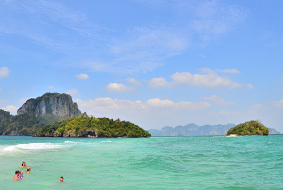 Koh Mook is reknown for her beaches, mountains and the spectacular Emerald Caves, which is a short distance from the ferry arrival/departure point. Each speedboat & ferry selected by us at phuketferry.com is strong and fast, and contains all up-to-date navigation and passenger safety equipment. 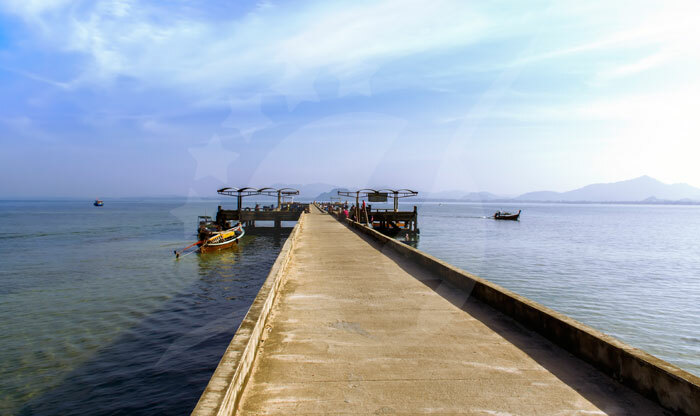 On the day of your speedboat & ferry journey either to or from Langkawi, make sure that you are at your pier at least 45 minutes before departure. This is an important request from the ferry operators. 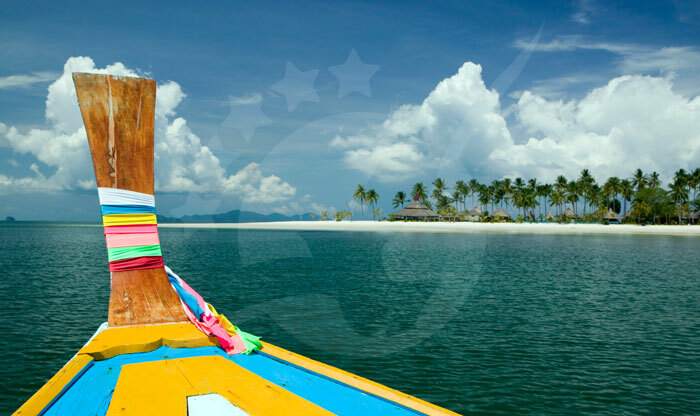 Make sure that you have printed your phuketferry.com e-ticket, so that you can show to the speedboat & ferry staff, and the rest will be plain sailing! 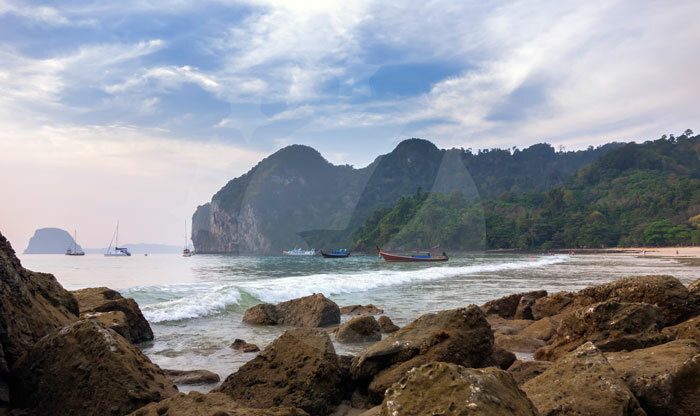 Speedboat & Ferry travel between Koh Mook and Phuket takes about 4 hours, between Koh Mook and Phi Phi is just 3 hours, and its just 2 hours to Koh Lanta. Speedboat & Ferry travel to other destinations are follows; Koh Ngai (60 minutes), Koh Kradan (30 minutes), Trang (30 minutes), Koh Lipe (4 hours), and Langkawi (5 hours). 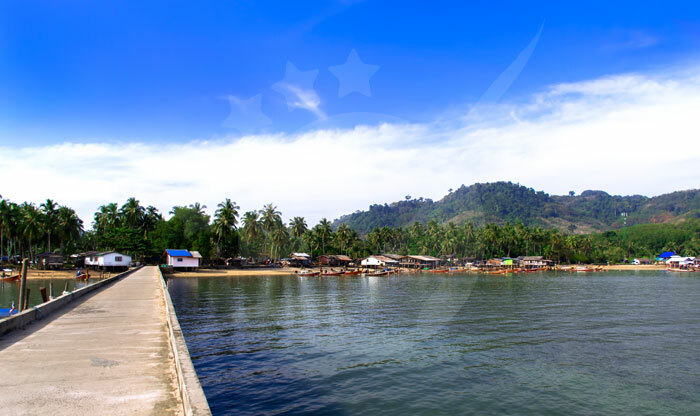 Koh Mook (or Koh Muk), which means "Pearl Island" in the local language, is a really popular small island destination that's not far from Trang and is so easily reachable by speedboat & ferry. It should definitely be on your "to visit" list. 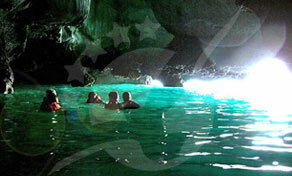 Koh Mook has great beaches, coves and bays, and the fascinating "Emerald Cave" (Morakot = Emerald in the Thai language). Most travellers and tourists who come here are always impressed and leave full of fine memories and photos for framing. Over the years, Koh Mook has become really accessible, with good ferry access to and from her shores, and basic but good quality accommodation for peaceful, joyful stays. The island is rich with local wildlife, lots of bird species overhead and tropical fish species in the surrounding crystalline sea. 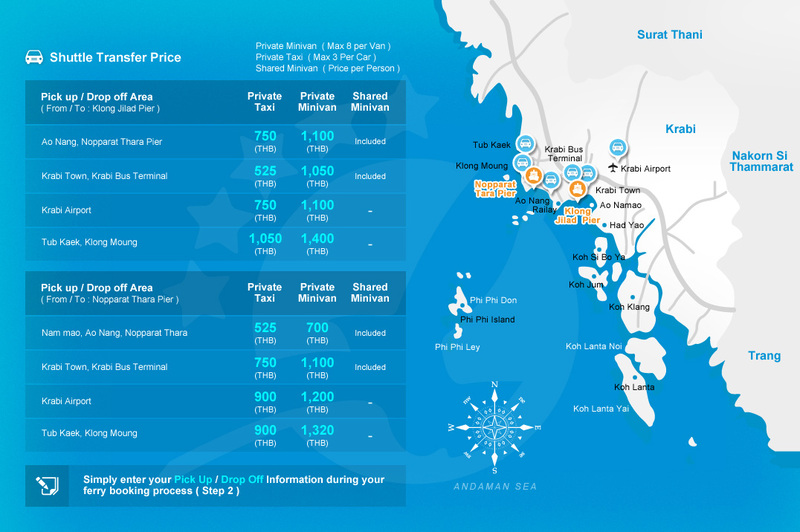 This "pearl of great price" beckons you for a memorable island experience. Koh Mook's Famous "Morakot Cave"
This is one “must do” highlight of any trip to Koh Mook, as noted by a large number of excellent online reviews. 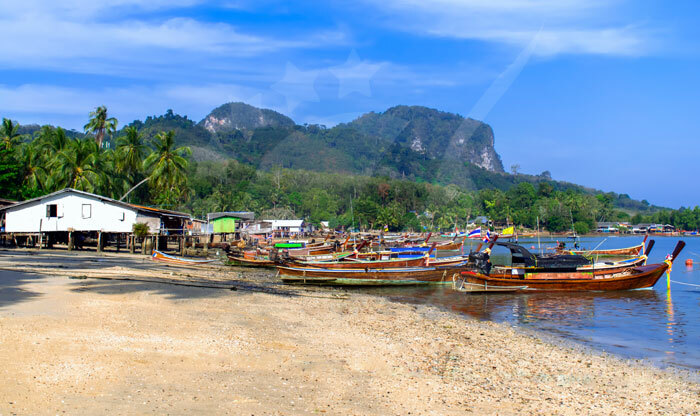 Morakot Cave is an impressive natural passageway through mountainous rock that leads to a wonderful little cavernous beach where pirates used to store treasures in days gone by. It’s a really great experience, wading in the dark through the water - many like to put a life vest on so they can float for fun! As a tip, it’s best to go in a small group (not a big one that can get noisy and crowded). There’s only one route in and out of the cave so whilst it’s really dark (if you turn off your flashlight) it’s also perfectly safe. So take your time, enjoy the sights and sounds, and let us know how great it was! Looking at the island from above, Koh Mook is both natural and beautiful, with enticing beaches and accommodation options dotted to the left and the right. The good news is that everything is a short walk away. From Ban Koh Mook Pier, its a short walk to the white sands of Hua Laem Prao Beach which is partially sheltered by spreading palm trees, great for walking, and offers teriffic sunrise views. A small road links the east side of the island to the popular Farang Beach on the west side. It takes about 10 minutes to walk from east to west and the walk is highly recommended. Then, the mountains and cliffs that house and shield the wonderful Morakot Cave is a short kayak ride up the coastline from there. Koh Mook is probably the most popular island that's located near to Thailand's Trang province, and so many great little resort options have sprung up over the years. Two main resorts take up most of Farang Beach, these two being Charlie Resort and Sawasdee Resort. The Charlie Resort has a great swimming pool and some cool little beachfront bungalows that are priced at just above 1,000 Baht and the gardens are improving year by year. 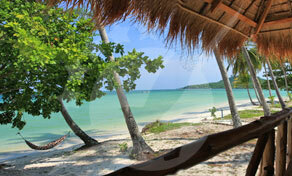 The Sawasdee Resort has approximately a dozen suitibly priced beach bungalows, good food and service. There are other nice places to rest also, and we recommend that if you do want to stay over, take a look at the simple but suitable options. Most of the Koh Mook local life is lived around Village Central. It's not too heavily built up, with a few local stores, a school and a few restaurants serving the local community. The locals have caught on to the opportunity by offering a couple of restaurants for tourists too. Local fishermen all live around the main village, their houses set just above the sea waters when the tide comes in, showing their footings at low tide. If you'd like to stay a little closer to the local life, there is actually an awesome little beach to the north of the village with nice resorts such as the Ko Muk Resort or the Koh Muk Garden Resort. An early sunrise walk around the coastline, before it gets too hot, will give you a glimpse of both the local economy in action and the laid back lifestyle too.